What are some different types of ankle conditions? WHAT DO I DO ABOUT MY ANKLE PAIN? Ankle pain can make routine day-to-day tasks seem like a challenge. 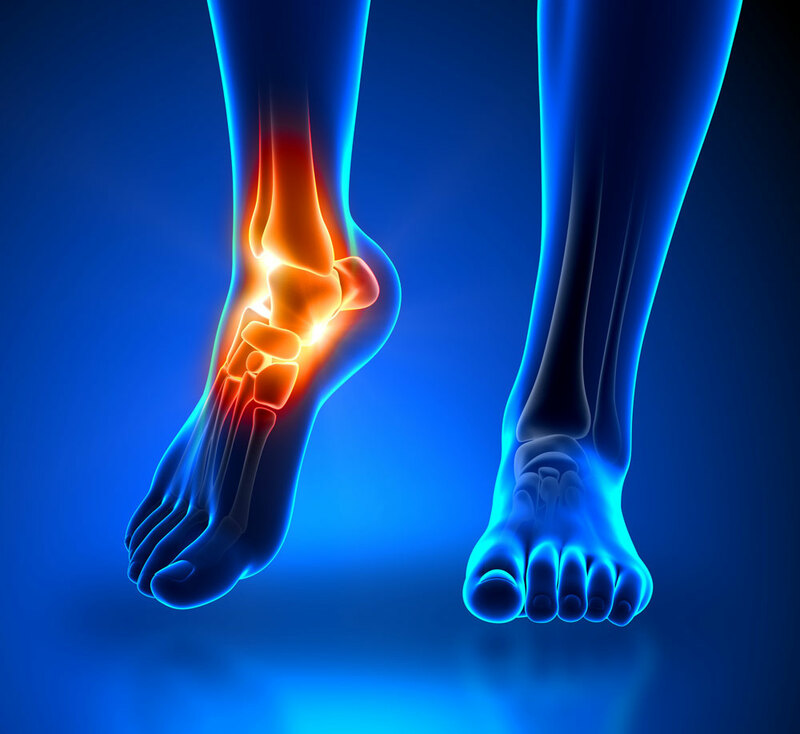 The pain could be the result of an injury or inflammation of some of the structures in the ankle area. Read on to find out more on the topic of conditions, common causes, injury prevention and rehabilitation. Tendonitis – Inflamation of the tendons surrounding the ankle. Arthritis – Inflamation and stiffness of joints. Several types of arthritis may affect the ankle such as osteoarthritis, rheumatoid, septic and psoriatic arthritis. Fracutres – Also known as a break, is when one or more bones of the ankle have been broken. Sprains – When the ligaments of the ankle have been stretched or torn, typically with a roll of the ankle. Gout – A disease in which break down of uric acid is defective and causes arthritis. Warm–up – Appropriate warm up is key, particularly when you've been at work all day. Flexibility – You need appropriate flexibility in your foot/ankle to stop excessive stress in your joints and ligaments, particularly for people that wear pumps at work all day. Strength – You'd be alarmed how feeble a person's ankle can be; it’s not traditionally an area people consider strengthening until they're in rehabilitation. Appropriate Footwear – You'll need the shoes that are proper to support freedom and your own foot’s individual form. Equilibrium – Great equlibrium will keep your ankle stable and ready for those unforeseen stumbles or surfaces that are irregular when you're walking or working out. Rehabilitation could be the next measure in the event that you've got pain in your ankle that's not going away. A lot of the same inury prevention principles above apply, but generally it’s a lack in these types of areas that we find in treatment. Strength – It is necessary to strengthen not only the foot and ankle but in the surrounding and connecting regions such as the knee and hip. The body works as one unit. That is why working on the affected area as well as the surrounding and connecting area will aid in the recovery process. Range of Motion – Address any areas that aren't mobile at the joint-level with soft tissue techniques and joint mobilization. Physical therapy provides a wide selection of treatment alternatives including strengthening, flexibility tests, and exercise plans that are acheiveable at home. Stop in or call Emery Physical Therapy at (847) 786-2014 to see how our staff can assist you in your ankle pain and recovery.